The listing below is a list of dogs selected for our future breeding and protection training program. They range from 4 months old, up to when they have fully completed their training program anywhere from 1 year to 15 months of age. Options for training are Obedience (usually completed by 1 year of age) or Obedience + Protection (completed from 1 year to 14 months of age, depending on the dog). The videos below are examples of dogs that have come out of our 2-3 line breeding program and are just a sampling of what your protection trained dog will be able to do. And we think you will agree that our prices for a fully trained obedience and protection trained black German Shepherd is virtually unheard of in the United States. How can we do this? Simple. Because we cut out the middle man and all brokers by breeding our own dogs. And our dogs are pound for pound, twice the dogs that will be brought from Germany. Remember, the Germans don’t sell us their best. But we have bought the best fully titled all German stock from Germany (only because we have a connection that spans well over a decade with one of the top, if not the top breeder in Germany who actually bred the original V Paska von Salztalblick). The best offspring from these dogs are retained for our protection training program or for future titled dogs that will either compete in sport or go into breeding. Watch these videos and decide for yourself. ***PLEASE NOTE*** We’ve had some misunderstandings so just for clarification, just because a dog is listed on this page, does NOT mean the dog is available for sale. These are our dogs for our future breeding and protection program. The list below states if they are an IPO Candidate or a Protection Candidate. The dogs listed as Protection Candidate’s may be available for sale, assuming they have not already been purchased. IPO is the new term for Schutzhund training (obedience, tracking and protection). Protection training includes obedience training as well. Occasionally we retain a puppy for our own future breeding/titling/protection/competition program. These dogs have distinguished themselves from an early age and therefore, retained by our own program. These are the dogs we select as “Pick of the Litter” when a client asks us to choose the “Pick of the Litter” for them. However, occaisionally a client wants to choose the “pick of the litter” themselves and they pick different from what we would have picked as the “Pick of the Litter”. Or there may be two or three puppies that tested to the same level. And yet other times, the “Pick of the Litter” may not have been reserved. In these situations, if a puppy seems to distinguish themselves from the rest of their peer group, we will retain him or her. These dogs listed below are NOT for sale currently. Each dog listed here was our “pick of the litter”. They are meant to either be sold after they have been trained or they will be titled and come back into our breeding program. They are on this list because they distinguished themselves in some specific manner. 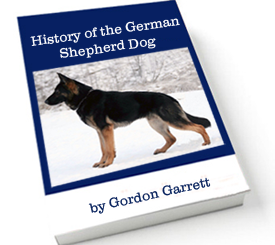 Having said that, we may occasionally consider selling some of these exceptional dogs before they begin their training. Although these dogs listed below are meant to be purchased at the end of the training, if preferred they can be purchased without training. The dogs with “Protection Candidate” are meant to be sold after they have been trained for protection. If you are interested in one of these distinguished older puppies / young adult dogs who are either waiting to start their obedience and protection training or have already begun their training program, call 775-BEST-DOG. We do NOT train dogs outside of our breeding program any longer. And we do NOT purchase dogs from outside to train them and then sell them to you as most breeders/trainers do. We breed our dogs very specifically and then train them very specifically. If we did not select the puppies from our own breeding program, they will never be sold by us for protection dogs. We only sell the best of the best in trained protection dogs and unless we had total control of the genetics from pre-conception, we will NOT sell a dog as a protection dog. We refuse to compromise on quality. We are using the power of Mendalian genetics to optimize already phenomenal genetic superiority to create the perfect family/companion dogs with high drive, yet calm and controlled dispositions, bred for courage and endurance with excellent bite work and optimal conformation. These dogs not only look amazing, they are genetically superior and the candidates on the list above, are the best of best. There is basic obedience training. And then there are 3 different levels of protection training. Much of that is dependent on the dog’s ability but generally speaking, the highest level of protection training (Level 3) would be the highest priced. We do not know if each dog has the capability to get to the highest level of protection until the dog begins their training. That’s why there is a “range in price”, which will be defined by the individual dog’s ability. We will take the dog to the highest level possible for that individual dog unless specifically requested to hold back. But be assured, the level of training will be demonstrable and clearly obvious to you by the dog’s ability to perform. And each dog will be video taped upon final completion of training so that you can see what your dog is capable of and what they have been trained to do.